to make each action of our lives brim over with love." Sixteen of the 23 RSCJ below 50 years of age in the Province of India came together to reflect and respond to the questions posed by the Dream Catcher Team. 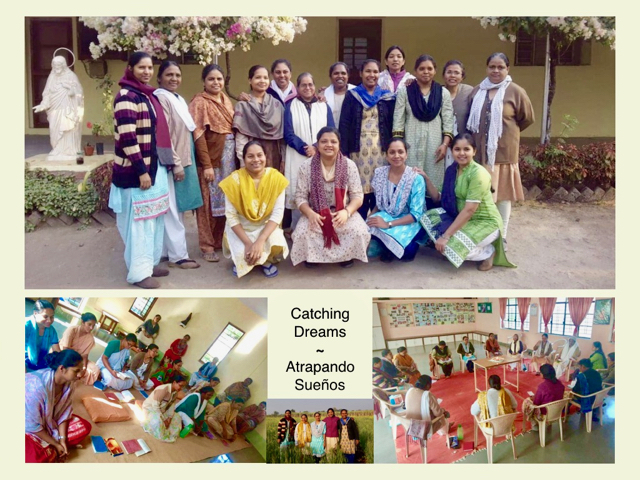 Organized by Patricia D'Souza rscj, who is a member of the Dream Catcher Team, the meeting was held in Bhokar on the 12th to the 13th of January. on the 2nd of January 2019 at the Villa Pischiera in Villa d'Adda (a municipality in Bergamo, Italy). Giacinta, who was born in 1910, entered the Society of the Sacred Heart in Florence in 1933. 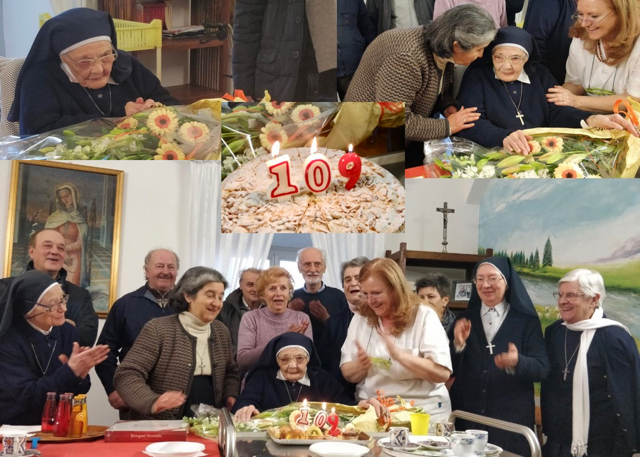 In 1944 she made her final vows in Villa d'Adda, where she engaged for many, many years in various custodial ministries at the Villa Pischiera. Until she was 100 years old, she managed to do some sewing and knitting. Now her life is serenely dedicated to prayer and rest. The Professed of Temporary Vows (PTV) of Europe welcomed the New Year in Rome. 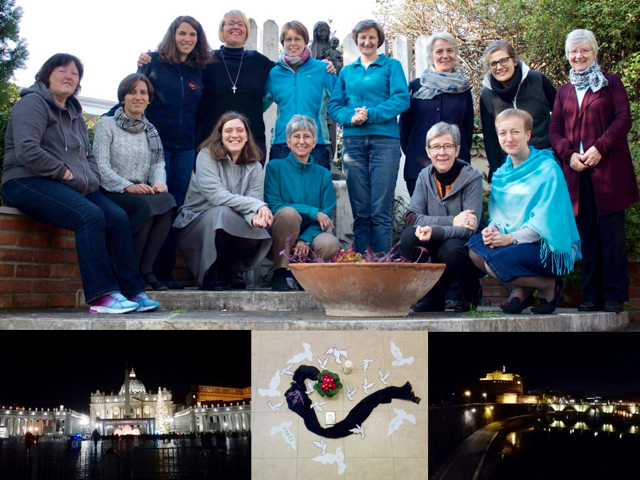 The PTV of Europe and their respective program directors had their meeting in Rome. This gave them the opportunity, as well, to visit the Mother House and the Villa Lante. 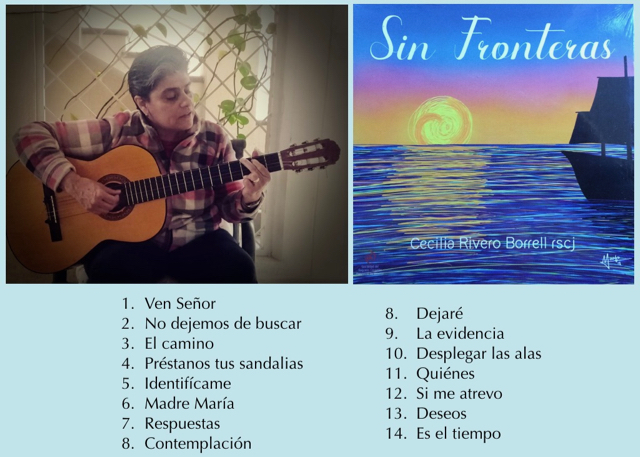 One of the songs in this collection is "Préstanos tus sandalias"
- a song dedicated to Rose Philippine Duchesne for the bicentennial celebration in November 2018. Click here for the lyrics and the music. The Provincial/District/Area Teams of the ASIANZ Region met with the Central Team in the Dai-san Conference Room in Shibuya-ku, Tokyo, Japan on October 6-7, 2018. On the 8th, the Provincial/District/Area Superiors continued the meeting with Barbara Dawson and the ASIANZ Link Daphne Sequeira. 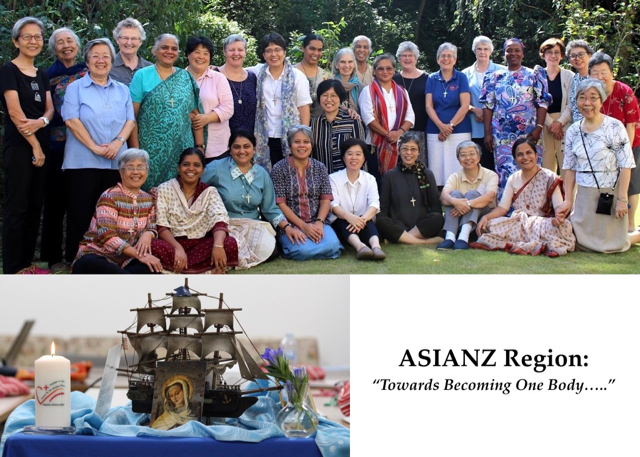 "The ASIANZ regional teams meeting was an experience of broadening and deepening the path of the Heart of Jesus among us. There was so much passion, willingness and openness to unite with one another with honesty and transparency. On the wider context, the efficiency and modernity of Japan were evident. The experience was greatly enhanced and facilitated by the ever gentle, loving, and generous hospitality of the Japan Province. From their Provincial Council to the communities of aging and younger members, the 'open heart' where we all found a home was palpable."